This clean 2 owner home is an absolute Must See! From the one of a kind wood front door, really cool original door knobs, beautiful hardwood floors, large open concept kitchen with built-in appliances, spacious rooms with custom blinds, to the large fenced back yard, mature trees and new composition shingle roof - there's just so much to love! 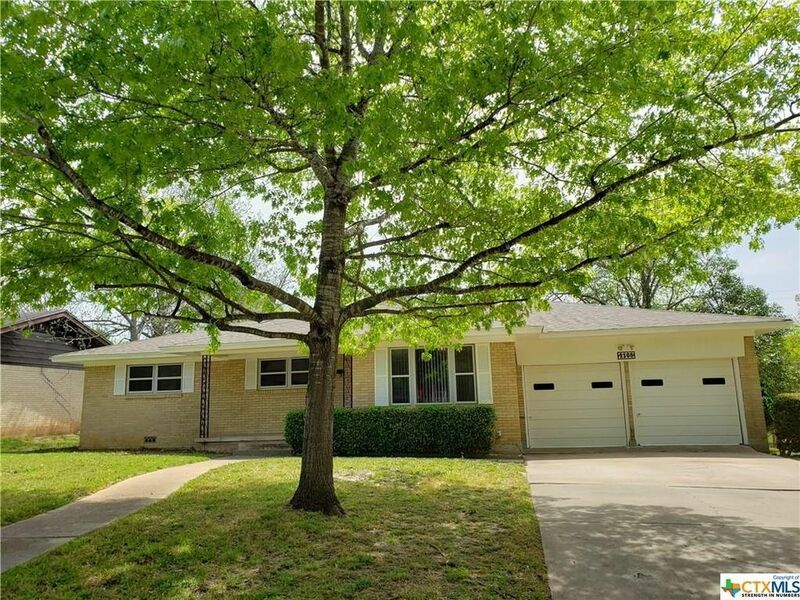 Fresh paint inside and out, restored hardwoods, new roof, new bath fixtures, gas water heater, electric central air, gas central heat, mature shade and Pecan trees, walking distance to schools! Charming, solid, clean and move in ready, AND AFFORDABLE, they just don't come available often. A few extras include a home warranty with Fidelity National Home Warranty, a recent HVAC service & inspection by Muegge Air, and affordable utilities. Call today for your personal showing appointment. Buyer to verify room measurements and additional utility availability. Directions: From Courthouse: E on Main. L on N. Lovers. R on Mears. House on R.